While finishing up the holes in for our fence post it started to sleet. 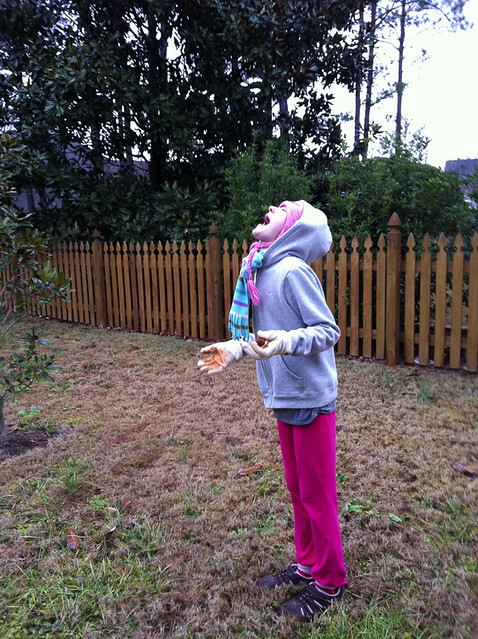 So Kathryn took a little break to try and catch some of the sleet on her tongue. You can’t have a day of work without having fun mixed in with it.